If you are looking for an amazing dog for your family, Roxy will more than fill the bill. This very pretty purebred female American Bulldog is just 2 years old, fixed, up to date on her shots and very healthy. She LOVES humans of all sizes and ages (she thinks she is one of them! ), and is such a devoted and empathetic companion. Roxy’s owners love her so much. It breaks their hearts to have to find her a loving new home, but Roxy is territorial with the other dogs in their home. She needs a home where she can be the only dog – the center of her owners universe. She is so good outside the home – she is wonderful on walks, great at the dog park, loves to go in the car, and a fantastic ambassador for all dogs when she meets new people. She just isn’t suited for a multi-dog home. Roxy’s owners are dearly hoping to find her a new family who will cherish her as much as they do. She needs a home with a large, securely fenced yard, no other dogs, owners who are active and can give her their time, energy, attention and care. If you have room in your heart and home for this amazing American Bulldog, please offer Roxy a loving home today. 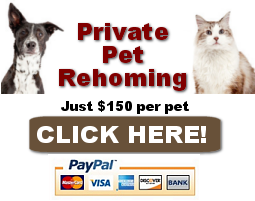 Behavior Issues: Yes She needs to be the only animal in your home. While she loves humans, even great with little ones but, she does not like other dogs. She has never been violent or anything like that, but she is an alpha and will bark at them and stare them down. We are a multi dog home, and that is the heart breaking reason we have to re-home her. It may be because they are all females in our home, but if you have another dog, she is not for you. She LOVES HUMANS all shapes and sizes. She just wants all the attention of her humans. Now she is great at pet smart, great around dogs at dog parks, great getting groomed, great at vets. She just is territorial (such is the breed) of her home when it comes to animals. Accessories Included: We would be more than happy to not only supply a full bag of food, but also, her favorite toy, and her crate. How unconditionally she loves her humans. Her cute little over bite. Her Personality. She is one of a kind. I love the way she makes us feel, and laugh. The funniest thing in the world that we love about her, is when she wants to play with something she will grab it from somewhere in the house and literally bring it to you, like she is asking permission to chew on it. Needless to say, I told her NO when she thought my shoe was a chew toy. Then again, thanks for asking us Roxy hahah. We own a two story house, with a small yard, ( she loves to run so wish it was bigger). We are a multi dog home. What once use to be a fun time with all the dogs playing with us, has now turned into a situation, we have to keep Roxy separate from the other dogs. She did use to be best friends with our small american Eskimo, but at about 18 months, Roxy behavior towards the other dog, changed. Now we just keep them separate. Its just me and my husband now. (Kathryn & Aaron) We have lived in GA for a little over a year. We are currently trying to have a little human of our own. We live minutes from my parents. We love animals, and will always be a multi dog home. We do hope to rescue more animals in the future. Roxy’s Favorite Toys, Foods, Activities? Roxy, is an amazing dog. She really does think she is a human. One day Roxy and I were sitting watching TV, and she was playing with her fluffy turtle, and I was sitting on the couch. I got a call on the phone, and I got rather upset, I had just received some bad news about a friend of mine, and I started to cry. While on the phone, Roxy got up and just laid her head on my lap, and started doing her paw thing to let me know she was there. It was so cute. When I got of the phone. I put my phone down, and just put my hands over my eyes, and Roxy looked at me, looked at her fluffy turtle, picked up the turtle and tried to give it to me, because I think she thought it would make me happy, because it makes her happy. Why is Roxy Being Rehomed? Roxy, needs a home, where she is the only pet. We can not provide that for her, and it is heartbreaking to us. We would love to see her go to a family that will love her. A family that will appreciate all her little traits that are special to her, from her overbite, to her compassion towards people. I would love her to have a place to run, and active owners, that would play with her, and let her run. I would leave that up to the family who adopted her. I know we would love photos of her, even mini videos. We love her so so so much. We have tried everything to try and make it work. We just have to do whats best for Roxy, and that is to be a one dog home. 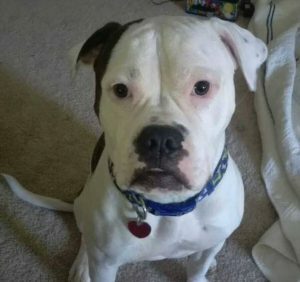 If you are interested in adopting this special American Bulldog Dog For Adoption in Flowery Branch GA, please fill out our online meeting request here. Once received and reviewed, our staff will ask the pets owner to reach out to you and arrange a meeting to determine for certain if Roxy is a good fit for you – and you are a good fit for her. 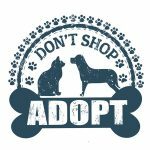 Finding good homes for preloved dogs, cats, puppies and kittens throughout Georgia.